Some weeks ago, I called Mr. Fela Durotoye to ask if he could accommodate us in his schedule while he was in the FCT that weekend and we set up to meet by 8pm after his speaking engagement. By 7.30pm on the agreed day, we were seated and ready waiting for our meeting at the agreed location. At around 7.40pm, I tried to reach him so he would know we were was already 'here' but his phone just rang without pickup. Little did I know at the time how events would unravel over the rest of the evening, as I just reasoned that he was on his way back from the speaking engagement and didn’t hear his phone ring. I kept my calm till 8pm and called his line again but the feedback was no different from the previous attempt. Calling again by 8.15pm and afterwards every twenty minutes till it was 9.30pm, his phone only rang with no pickup. At this time, I along with my partner sadly stood up, walked to the car and drove home. I was preparing to go and sleep when my phone rang at about 10.30pm and I was doubly sure of the identity of the caller. 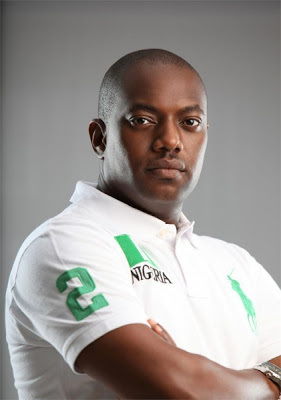 Fela Durotoye is known for his rare humility and benign disposition and when he spoke on the phone, his words did not fall short of the reputation preceding him. Gladly, we were able to re-schedule our meeting for 10am the next day. The next day, at about thirty minutes to the scheduled appointment while on our way to the meeting, I got a call from him apologising he would not be able to honour our appointment again as he just got a call from Lagos that he needed to attend an event at his son’s school later that afternoon. He suggested that we hold a phone meeting later in the day by 8pm. Along came the hour (8 O'clock) with its 60 minutes passing by and for a myriad of reasons, our meeting with Mr. Fela was yet unable to hold. Interestingly, I was undeterred looking forward to talking to him on phone the following morning. Thus, while bidding my time to call Mr. Fela at an appropriate time that morning, I got a call from him at about 10am and we were finally able to discuss via the phone for a while. I told him about our organisation, Social Responsibility Managers (SRM) and the Tobacco Control project we’re currently involved with. I mentioned to him that as part of our project implementation strategy for this project, we were engaging and synergising with needed known faces to help communicate the issue of Tobacco Control (TC) & campaign widely for enactment of TC laws. Based on his personality and work with Nigerian youths, we made the request to Mr. Fela that we would like him to become one of our Celebrity Cause Champions. To my delight, he readily accepted & signed up! Join Fela Durotoye and Stella Damasus to share information on Tobacco Control and also ensure a comprehensive Tobacco Control law is passed and signed into law by signing up to become a Cause Champion. Lets protect Nigerian's present & future generations from preventable deaths NOW!